Voting is now open for the Vermont Highway Safety Alliance #802phonesdown!headsup! People’s Choice Award Winner! 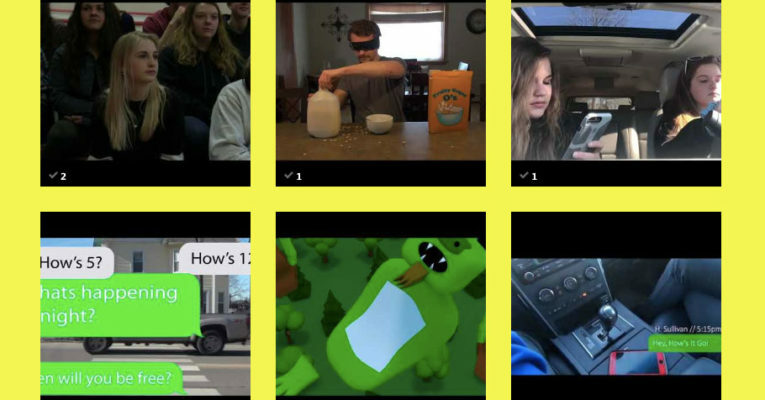 Help recognize a high school filmmaker for their contribution to Vermont’s highway safety with their video PSA (public service announcement) about the dangers of distracted driving. 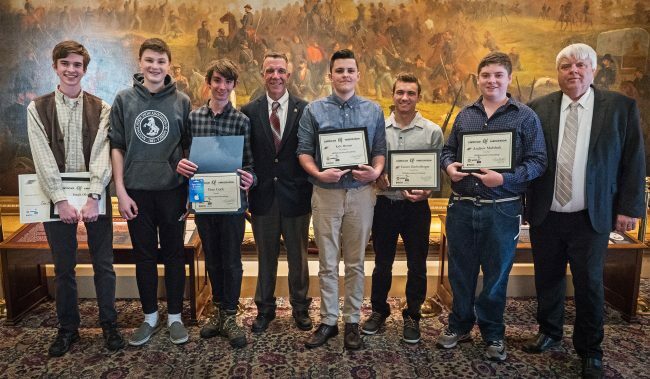 The award is part of the Vermont Highway Safety Alliance second annual Public Safety Announcement (PSA) award contest for Vermont high school students, designed to change driving habits. Sponsors include AAA Northern New England, Co-Operative Insurance Companies, (sponsor for first place award) Consultant on Police Services, Midstate Dodge, and Yankee Driving School, (sponsor for third place award. The Youth Safety Council of Vermont is proudly sponsoring the People’s Choice Award! The contest winners will be awarded at the Vermont State House on Friday May 10, and the People’s Choice Winner will take home $500! Vote here! To promote teen driver safety, UVM Medical Center is offering the Txt U L8R program to students and their families. 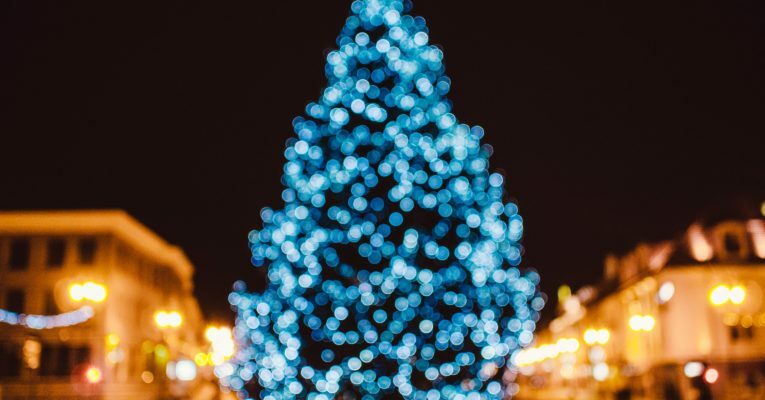 Everyone is encouraged to participate — especially you! The program description is below. Please email Chrissy Keating with any questions. Funding is available to assist with transportation costs. Texting while driving has quickly become one of the greatest hazards on the road. It causes 1.6 million car crashes and 330,000 injuries per year, and approximately seven teen deaths every single day. That’s why the UVM Medical Center and the Clinical Simulation Laboratory at the UVM College of Medicine created “TXT U L8R,” a unique program designed to discourage individuals from texting while driving. Key elements include a demonstration of an advanced driving simulator, presentation of a realistic trauma scenario, a testimonial from the victim of an accident caused by a teen driver who was texting, and a demonstration of several smartphone apps designed to prevent texting while driving. The Youth Safety Council of Vermont was represented at the 2018 Vermont Highway Safety Alliance Annual Meeting by Board President Lindsay Townsend and Executive Director James Lockridge. The conference was held October 22, 2018 at Jay Peak and covered a variety of topics, including the American Association of Motor Vehicle Administrator’s “Road to Zero” coalition; a medical study on assessing cognitive impairment to ensure safe driving; Vermont Department of Liquor and Lottery’s impaired driving data integration; and a presentation on drugged driving and the legalization of marijuana in Vermont by Williston Police Department Chief Patrick Foley. 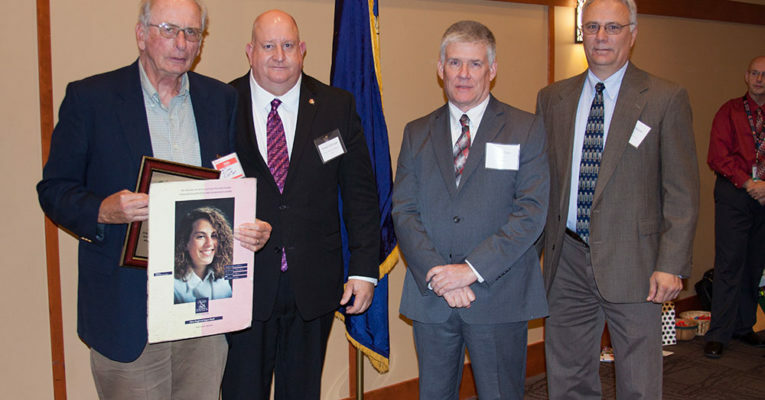 The Vermont Agency of Transportation announced the recipients of the 2018 Highway Safety Awards, which included former YSCVT Board Member Lt. Garry Scott! The Ruby Rainault Occupant Protection Award was presented to Michael Tarbell of Rutland County Sheriff, in recognition of his commitment to highway safety through education and enforcement of our occupant protection laws. The Impaired Driving Prevention and Enforcement Award was presented to John F. Campbell, Esq., in recognition of his efforts and commitment to strengthening the ability to prosecute and enforce Vermont’s impaired driving laws. The Drug Recognition Expert Award was presented to Sr. Trooper Jay Riggen of the Vermont State Police, in recognition of his efforts and commitment serving as a DRE in Vermont. The Fletcher Brush Educational Outreach Award was presented to Driver’s Education Instructor James Carter, in recognition of his dedication and commitment to highway safety through educational outreach and messaging to the road users in our State. The Sergeant Michael Johnson Award was presented to Lt. Garry Scott of the Vermont State Police, in recognition of his tireless dedication and commitment to making Vermont’s roadways safer for all users. The Vermont Highway Safety Alliance Engineering Award was presented to Joe Kelly, Marcos Miller, Christopher Mercon, and Tyler Guazzoni, all of the Vermont Agency of Transportation, in recognition of their application and promotion of traffic control devices to foster and advance Vermont’s highway safety priorities. The Vermont Highway Safety Alliance Emergency Medical Services Award was presented to Dan Batsie, Chief of Vermont Emergency Medical Services, Vermont Department of Health in recognition of his work to improve statewide emergency medical services that foster and advance Vermont’s highway safety priorities. The Vermont Highway Safety Alliance Media & Marketing Award was presented to Ken Millman, Founder and Creative Director of Sp!ke Advertising in recognition of his creative marketing projects that foster and advance Vermont’s highway safety priorities. 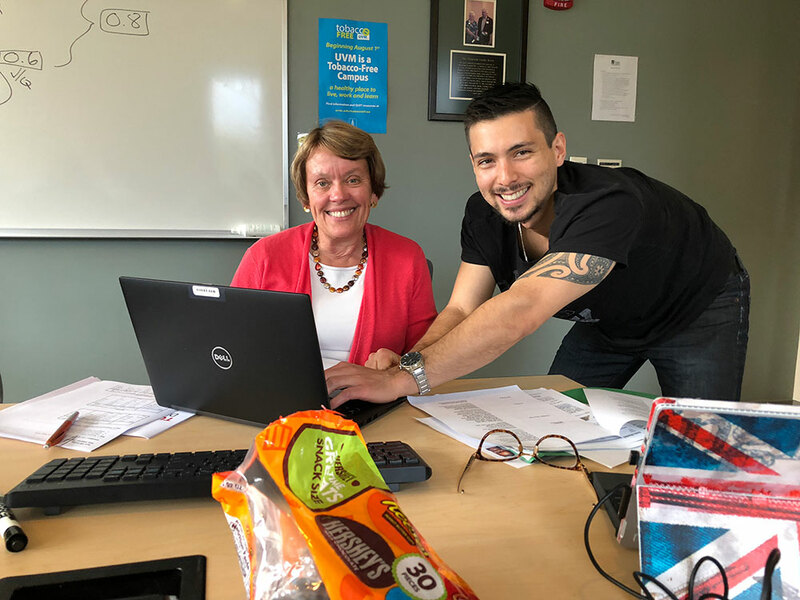 The Youth Safety Council is working with UVM students to create a pilot ‘new driver attitude survey’ that will generate data about our state’s youngest drivers’ perspectives on safety. Public Health Projects are a required course incorporated in the Vermont Integrated Curriculum, which teaches students to apply the principles and science of public health while working to improve the health of the community, especially through prevention. Through exposure to the kinds of public health challenges they will face in their future careers, the overall goal is that students will become better physicians. The survey will help the Youth Safety Council of Vermont acquire a basic understanding of the work that needs to be done to create a safe driving culture in the newest generation of Vermont drivers. There is minimal data about new driver attitudes (toward driving distracted, etc.) in the state — the Vermont Youth Risk Behavior Survey provides sparse information, and the Governor’s Highway Safety (GHSP) Attitude Surveys record responses only from people who are age 18 and over. The UVM students will be helping the state’s safety sector improve its data-informed strategies. The students’ work could help guide future safe driving initiatives by building from the pilot survey of Chittenden County high school students toward a goal of a statewide student/new driver survey in Vermont. This work could help the Governor’s Highway Safety Program secure future supports for youth driver safety initiatives in the state’s Strategic Highway Safety Plan, and the data would help organizations like YSCVT with independent development of safety education programs like the Turn Off Texting demonstration. Public Health Projects respond to health needs identified by local community agencies. 16 projects are completed each fall by medical student groups working in partnership with community agencies like YSCVT, American Red Cross, and the Vermont Department of Health. 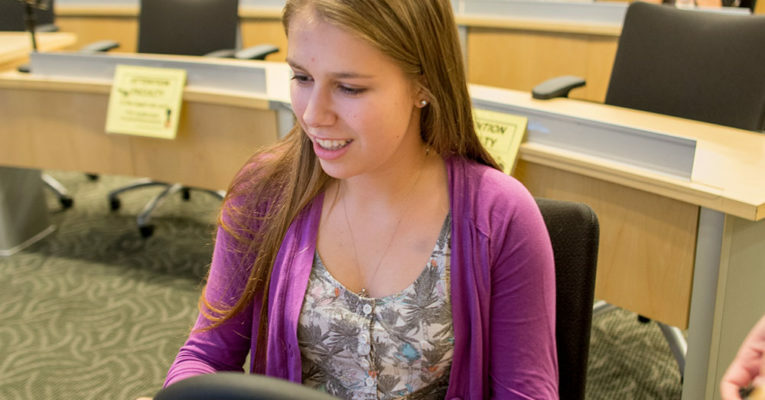 Students are mentored by both College of Medicine faculty and community agency mentors. With the YSCVT, students will help the state’s collaborative highway safety organizations better understand how to foster safe-mindedness in each new generation of drivers and improve Vermont’s culture of highway safety. Dr. Wendy Davis & Ashton Hideki. The students have been researching survey methods throughout New England’s highway safety programs; have developed a prototype survey, and are reaching out to driver educators in Chittenden County to issue the survey in alignment with the privacy protocols expected by the UVM Larner College of Medicine. Data from the survey, the rationale behind it, and suggestions for carrying the survey forward to a statewide audience will be presented in January, 2019. 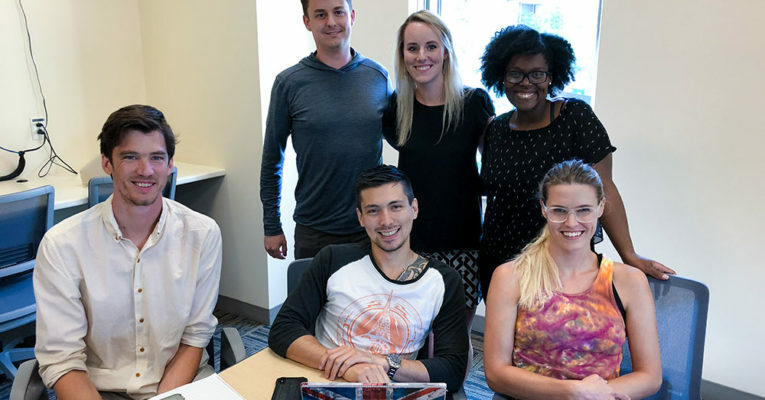 Students developing this Public Health Project are Samantha Jo Bissonette; Megan Garrido, Nicholas Haslett, Ashton Hideki; William Tyler Prince; Davina Tolbert; and Catherine Westbom. Public Health Projects are directed by Jan K. Carney, M.D., M.P.H., UVM Associate Dean for Public Health. These projects were first implemented in 2004, in partnership with the United Way of Chittenden County Volunteer Center. Please join us at the 28th Annual Red Ribbon Ceremony to remember and honor those who have been injured or killed by impaired or distracted drivers on Vermont’s roads and highways. The ceremony is 4:30pm, December 4, 2018 in the House Chamber of the Vermont State House. Sponsored by the Governor’s Highway Safety Program; The Community Justice Network of Vermont; and the Vermont Center for Crime Victim Services. A PSA: No text or call is worth your life. Fall & Winter Turn Off Texting Demos Now Scheduling! Turn Off Texting is a free demonstration that uses a golf cart to give young drivers a first-hand guided experience of the dangers of distracted driving. With support from the Governor’s Highway Safety Program and sponsors like AT&T, it travels to your community’s high school, anywhere in Vermont. If you haven’t yet worked with us to bring this hands-on educational experience to your region’s young drivers, learn more and schedule an autumn visit at http://www.yscvt.org. Dates are now being offered! We’re also pleased to announce that a limited number of Turn Off Texting presentations will be available with a driving simulator beginning in November and continuing through the winter. We’re able to present this version of the TOT demonstration with a mobile classroom and realistic driving simulator that travels across Vermont when the weather is too cold to use golf carts. Driver Educators or community event organizers can visit http://www.yscvt.org to request a winter TOT demonstration; they’re being scheduled first-come, first-served and availability is limited. Find more information about the simulator program here. Thanks for helping to spread the word about Turn Off Texting, a free community resource! 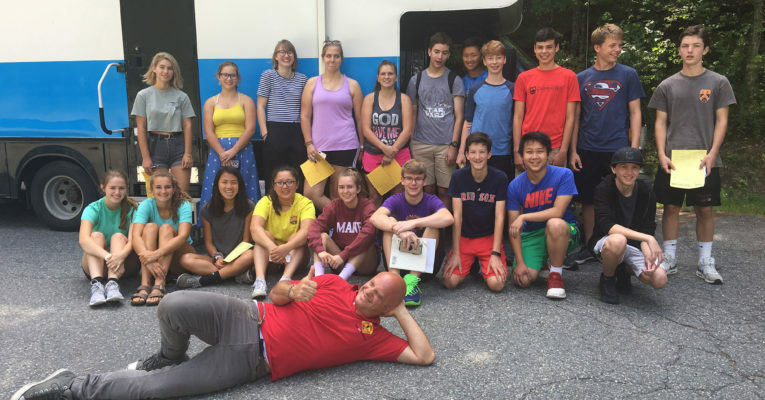 Photo: TOT Presenter Paul Burroughs with students of Driver Educator Gabriella Netsch and the TOT mobile classroom in Norwich.